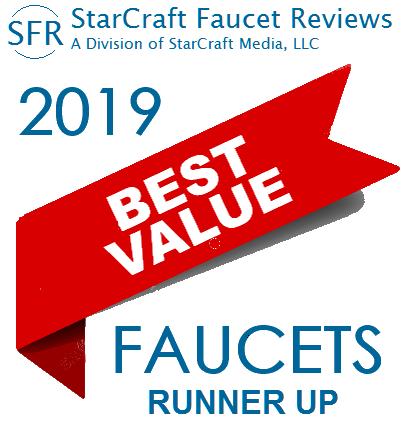 Our panel of homeowners and industry professionals has recognized Hansgrohe fau­cets as a runner-up for best value in luxury faucets manufactured or assembled in Europe. 1. As long as the original purchaser owns "the product and the home in which the product is originally installed." However, the warranty is valid only if "...installation and maintenance have been duly conducted in accordance with the operating instructions and generally accepted engineering practices (e.g. by a master craftsman or authorized specialist), the operating instructions have been complied with..."
Hansgrohe is a German faucet company owned by Masco, the American company that also owns the brands. Hansgrohe sells two lines of faucets: Axor, its luxury brand, still made mostly in Germany, and Hansgrohe, its premium brand, still assembled in Germany, but an increasing number of finished faucets and nearly all faucet components are supplied from China. The faucets are all designed iin-house or by world-famous designers and architects and are exclusive to Hansgrohe. Faucet prices are in line with other European designer faucet brands. Hansgrohe supports it faucets with a limited lifetime warranty and good customer service. But, we have a probldem with some of the wording in its warranty and some of its post-sale warranty practices. Better known worldwide for its innovative and impeccable hand showers (it is the oldest and largest and probably the best hand shower company in the world), Hansgrohe also makes an excellent, high-quality and stylish lines of faucets. In 2012 the company changed its corporate form from Hansgrohe AG (Aktiengesellschaft, a German stock corporation) to Hansgrohe SE (Societas Europaea), which is a new form of pan-European corporation chartered directly under the European Union. In spite of the change in ownership and corporate form, Hansgrohe SE is still pretty much what it has always been, a manufacturer of excellent, high style, designer faucets and sanitary wares headquartered in Schiltach, Germany. Hansgrohe owns 34 subsidiary companies and sells in 143 countries. Its principal markets are in its home country, Germany, followed by China and North America. Over the years, Hansgrohe has built a solid reputation as one of the innovation leaders in the technology and design of kitchen and bath faucets, receiving over 300 international design awards. Its panel of designers includes Philippe Starck, possibly the best known of today's industrial designers, Antonio Citterio, Jean-Marie Massaud, Patricia Urquiola and the Bouroullec brothers, among others — all famous names in the world of product and industrial design. If a Hansgrohe faucet is not a premium enough faucet for you, the company also has what it calls its luxury line called Axor. Axor is to Hansgrohe as the premium faucet in which most the company's design and technology innovations appear first. Many of the Axor collections are named after the designers who created them. There are, for example, several Axor Starck collections, designed by Philippe Starck, a Citterio Collection, Massaud Collection, and so on. Axor faucets are typically 30-50% more costly than an already costly Hansgrohe faucet. But, for the extra charge you will get leading-edge contemporary design not available elsewhere. And, if you buy an Axor faucet, you are getting a faucet made, or at least assembled in Germany. If you buy a Hansgrohe faucet you are getting a faucet designed in Germany that could have been made, in whole or in part, somewhere else. Until 1998, Hansgrohe and were owned by the same family, the descendants of Hans Grohe who founded Hansgrohe in 1901. His son, Friedrich, started with his father's firm but left after buying his own company in 1936. His firm eventually became Fredrich Grohe AG. Many Grohe family members inherited shares in both firms but the two enterprises always operated as separate organizations, often in competition. They fought over the brand name "Grohe" for several years, finally reaching an understanding that gave Friedrich Grohe AG the Grohe brand name while Hansgrohe kept the Hansgrohe name. The family feud settled down in 1998 when the Grohe AG family owners sold the majority of their shares to BC Partners. Hansgrohe remained under family ownership until 2002 when a majority stake in the company was sold to That sale ended the family competition once and for all. Some Grohe family members still own shares in the two firms but they are minority shareholders and are no longer involved in the management of the companies. Hansgrohe owns six factories in Germany, including a dedicated faucet assembly plant in Offenburg. It also manufactures bathtubs, whirlpools, and shower cabins in Westknollendam, Netherlands; and showers in Wasselonne, France. Its largest and newest faucet factory, however, is in Shanghai. North American operations are managed from a complex in DeKalb County, Georgia which houses a faucet assembly facility, warehouse, and logistics center. Until 2012 most Hansgrohe faucets sold in North America were made in Germany. But, in 2013 Hansgrohe finished an extensive expansion of the Shanghai factory owned by its subsidiary, Hansgrohe Sanitary Products (Shanghai) Co., Ltd., adding 86,000 square feet of factory floor and modernizing the plant's machinery at a cost of $14.6 million. Since the expansion, there has been a steady uptick in the number and size of faucet shipments from the Shanghai facility to the U.S., and a corresponding decrease in imports from Germany. But, that is by no means the whole story. Hansgrohe no longer manufactures many, if any, of the parts and components that go into its Hansgrohe faucets or showers in Germany. These are manufactured primarily in China and Taiwan to Hansgrohe's specifications then assembled into finished faucets in its Offenburg and Alpharetta facilities. Offenburg produces faucets primarily for the European market, Alpharetta for North America. Foshan Xianwei Metals and Plastic Products Co., Ltd. (China). All of these companies are fully capable of manufacturing faucets that a completely finished, in the box, and ready for sale. But, there is no indication that Hansgrohe buys finished faucets from outside suppliers. What it buys are the parts and components, then assembles the faucets in Germany and the U.S., avoiding the dread "Made in China" label. It's a clever stratagem that, so far, is working quite well. We were completely unaware of the extent to which Chinese manufacturing contributed to Hansgrohe faucets until asked to look into it further by one of our readers. At the moment Hansgrohe faucets imported from Germany — presumably assembled in Offenburg — outnumber the faucets assembled in the U.S., so we are sticking with our original conclusion that Hansgrohe faucets are sourced primarily from Germany — but it is a tenuous determination that is likely to change within the next year as the source of faucets and component parts continues to shift to China. If you prefer a Hansgrohe faucet actually made in Germany, look for the "Made in Germany" on the box. And, while we are not completely certain but it does look like Hansgrohe's more expensive faucets are the ones made in Germany, including nearly the entire Axor line. Hansgrohe and Axor faucets are all available in hand polished plated chrome, some with a finish called "steel optique" that looks like stainless steel but does not get all fingerprinty like true stainless steel. A few faucets are also available in rubbed bronze and polished nickel for a more traditional look. Both of these are also finishes. A company spokesman told us that Hansgrohe has no intention at present of expanding its finish offerings. From 1992 until 2004 Hansgrohe participated in a scheme among 17 European sanitary wares manufacturers to fix prices in Germany, Austria, Italy, Belgium, France, and Holland. The conspiracy unraveled after Masco bought Hansgrohe and discovered the plot, which it promptly reported to European authorities. In 2010 the European Commission fined the companies involved over $700 million for violating Article 101 of the European Union Treaty, the largest fine ever imposed by the Commision, finding that the companies had been willing participants in the illegal activities of the group. Only Hansgrohe escaped the penalty for having blown the whistle on the plot. 1. Fines were levied in Euros but are stated here in equivalent U.S. dollar amounts. A number of the companies involved appealed their fines to the EU General Court in Luxembourg and were awarded a reduced fine on various grounds. Ideal Standard (then owned by American Standard, now owned by Wabco Holdings Inc.) saw a reduction to $140.2 million from its original fine of $398.8 million. 2. Hansgrohe's fine was abated for its role in disclosing the scheme to public officials. 3. Not to be confused with of Torrance, California, an unrelated company that had nothing to do with the scheme. In 2010 the European Commission found that Hansgrohe had violated Article 101 of the European Union Treaty, finding that the company had been a willing participant between 1992 and 2004 in a scheme among 17 European sanitary wares manufacturers to fix prices in Germany, Austria, Italy, Belgium, France, and Holland. Hansgrohe avoided a heavy fine by informing European authorities of the price-fixing scheme right after Masco took over the company and found out about it. The Hansgrohe website is well-designed with intuitive navigation and comprehensive information about each of its faucets, including complete specifications, certifications, dimensioned drawings, downloadable installation and service instructions, and a link to the online spare parts catalog for each faucet (which sometimes does not work). The Hansgrohe limited lifetime warranty almost meets the standard for faucet warranties in North America. However, there is a strange limitation included under the heading Conditions and Exclusions. This guarantee shall only be valid if installation and maintenance have been duly conducted in accordance with the operating instructions and generally accepted engineering practices (e.g. by a master craftsman or authorized specialist), the operating instructions have been complied with..."
Even our lawyers are not entirely sure what this means but its ambiguity is cause for concern. It appears to void the warranty unless the faucet is installed by a plumber or other "master craftsman". Exactly what may be the advantage of having a craftsman such as a licensed electrician or master mason install your Hansgrohe faucet is not immediately evident. Our second concern with the Hansgrohe warranty is the apparent practice of the company to deny any warranty coverage on their cartridges after the first year on the grounds that defects are the result of ordinary wear and tear. The concern is based on nemerous reports we have received from consumers who were denied a new cartridge when their original cartridge stated to leadk. We think the practice violates the terms of the Hansgrohe written warranty which makes no mention of this limitation, and we deducted points for it. We are continuing to research the company. If you have experience with Hansgrohe faucets, good, bad or indifferent, we would like to hear about it, so please contact us or post a comment below.